Last night, Bloomberg reported that Twitter and Google struck a new deal to give Google access to their firehose of Tweets again. 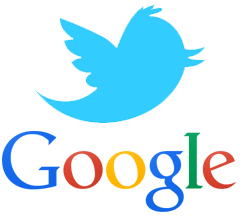 Back in July 2011, Google's real time search feature went offline and after some time, Google confirmed their deal with Twitter to gain access to their data in real-time was not renewed. Bloomberg reports that the two companies have renewed their deal and have begun working on bringing back real-time search, powered by Twitter, into Google's search results. Honestly, I have been tracking Google real-time search since the day it stopped working, I have a few bookmarks that would trigger it to show up, based on the old infrastructure Google used to display those results. I was hoping Google would find another way to bring it back, but they didn't - they had to do a licensing deal with Twitter, I guess. In the past Google built a whole infrastructure to plug Twitter's firehose, only for them to bail out after one year. He feels like it will be a waste to rebuild that infrastructure and have Twitter just pull the plug again on Google after a year. But I guess someone at Google sees otherwise. I do remember Matt Cutts talking about this at a conference, explaining that they don't want to be in a situation again where they put all these engineer hours around a specific closed feed and then lose the licensing deal. I wonder if this Twitter deal is different in some how then the original.